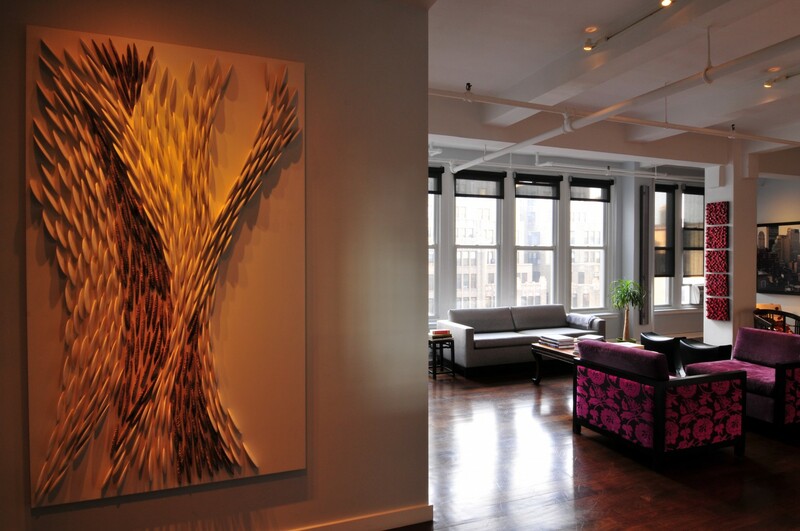 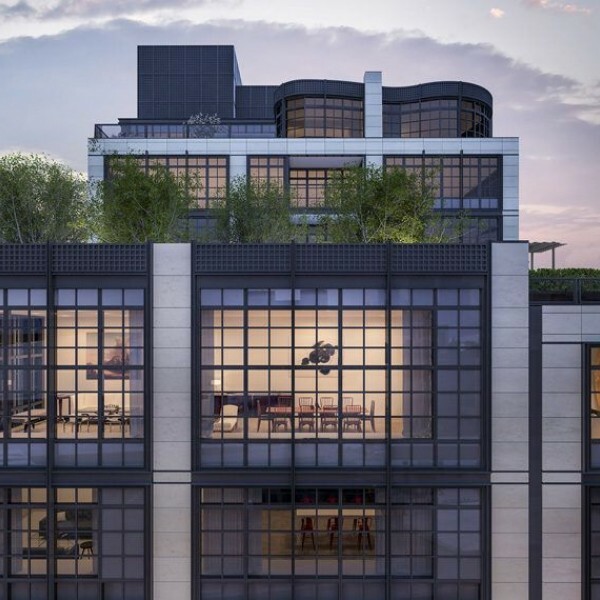 This two bedroom and two bath Chelsea loft showcases the client's artwork. 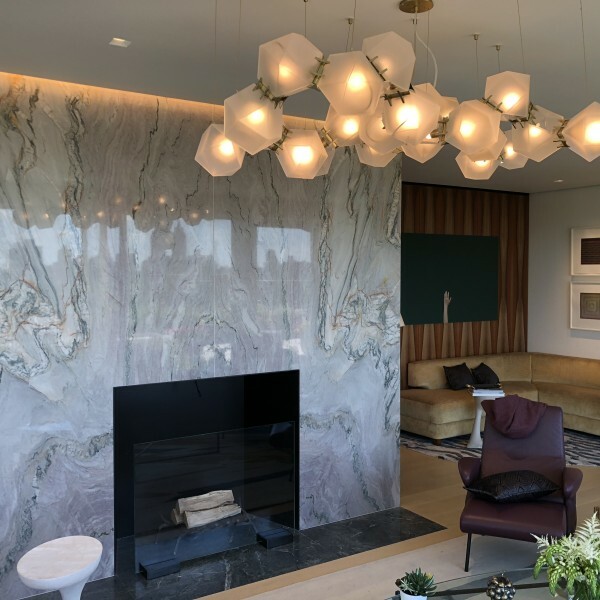 Discreet track lighting is located behind exposed beams allowing flexible lighting to accentuate the client's evolving art collection. 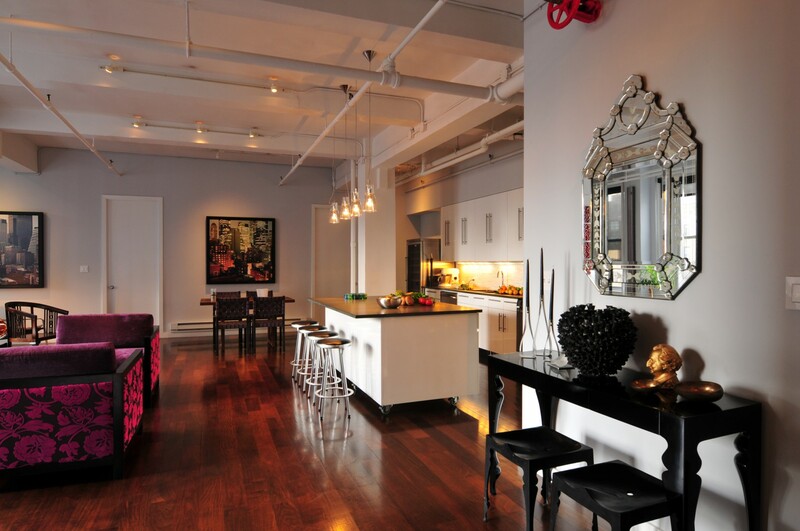 Signature lighting elements provide an ambiance and visual balance.